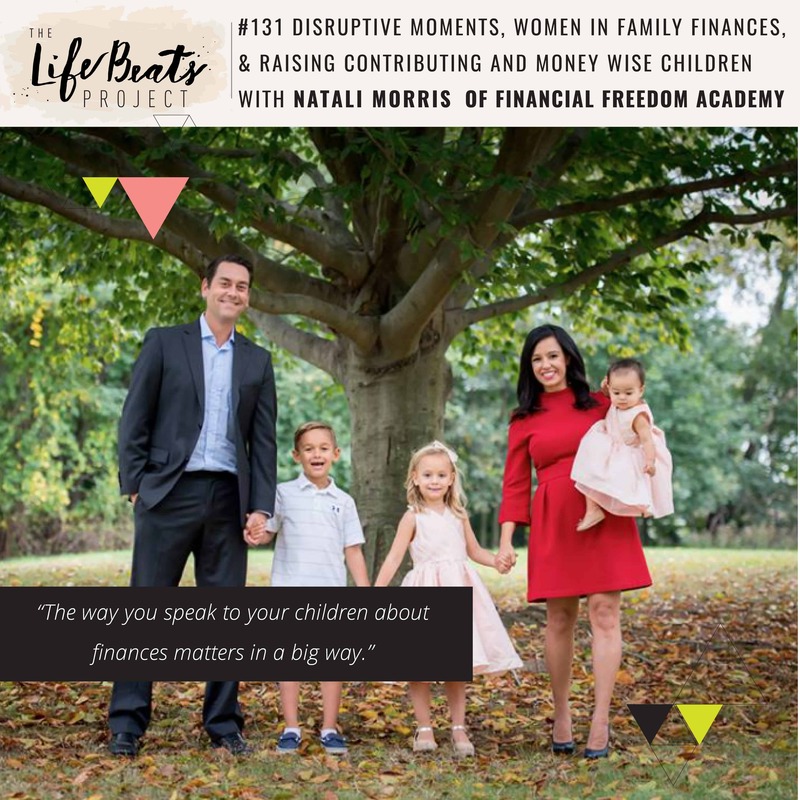 In today’s podcast we will be discussing those disruptive moments in our lives that shift our identity, viewing our family as a business, how we as women can become Chief Home Officers and contribute to the wealth creation and management of our home, and how to teach our children about money and finances through our words and how we involve them in our family business. I am honored to introduce you to Natali Morris, broadcaster, writer, speaker, and co-founder of Financial Freedom Academy. Natali shares her story of transitioning from being a public figure as a reporter for NBC, CBS, and The Today Show to becoming a wife and mother and how she struggled with her identity and worth and how she labored to learn how she could contribute equally in her home. She speaks passionately about wanting women to not simply be the budgeters, password keepers, or administrators in the finances of their home, but to become a C-level executive as a decision maker simply by starting where you are and taking one small step at a time knowing you will be inspired to know that next step is for you. She shares tools as well as her experiences as a busy mother of 3 in our consumerist culture in continually teaching her children how to value and understand money and what it means to be a contributing member of the family as well as avoiding a fear based concept of money. Listen and be inspired to see those disruptive moments in our life as opportunities to redefine our identity, take your finances in hand one step at a time knowing you will be inspired on each next step, and intentionally teach your children how to be contributing members of your family and resourceful and wise in how they see and use money. Friends I’m so thrilled to be able to connect you with some incredible brands that will add value to your life and are willing to share their own personal stories to connect and contribute to our community here and in the world. Today’s episode is sponsored by Para, an app for the busy person who knows emergency preparedness is important but wants it to be easy. Raise your hand if you fall into this! Me! At the end of this episode we will be speaking with Para co-founder and tornado chaser Clint Laub about a “tipping point”, that moment that is a catalyst to help us grow and progress when he ran out of water & without batteries for a flashflight when he got lost on an 11 hour hike that should have been a 2 hours. and how you can download the app to start making emergency preparedness easy for you. So check it out. Thank you! I feel these podcasts are inspired and help so many. It’s a positive new fresh breath of air. What a great podcast giving skills we all need to learn. We can learn from others by listening more. Thank you for being this stepping stone between all these amazing people for us. Shelise, Thank you for listening and I am so happy that you are feeling the positivity and the lessons within each episode. The skills in this one were exactly what I needed to hear as well.